Anita reflects on how much is gained from being open to the experience and practice of colleagues in other countries. She speaks of how that has informed the work of HVM since we were established in 2005 - and how it will continue to do so. Does innovation contribute to engagement with impact? Henrietta reflects on why innovation has its place when engaging publics in complex social, technological and scientific issues. 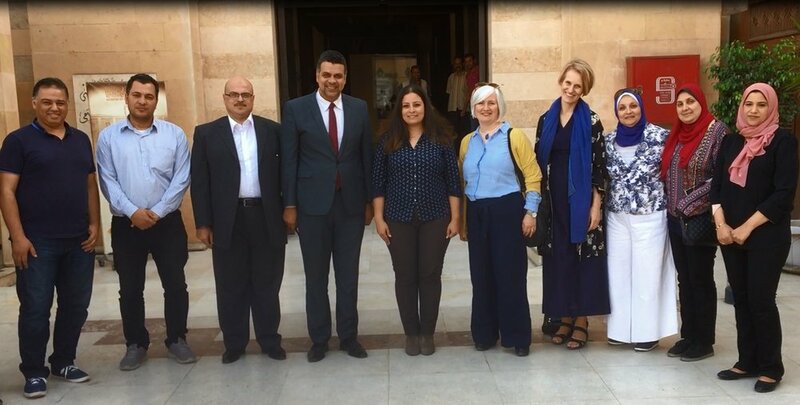 Anita and I have had the privilege of spending the last ten days with staff from the Egyptian Ministry of Antiquities in Cairo. 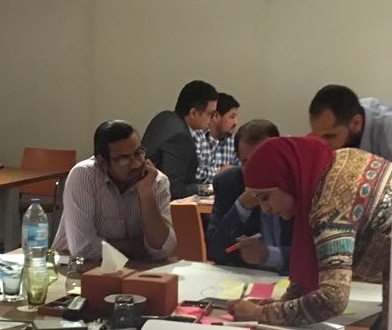 Commissioned by the British Council’s Cultural Skills Unit HVM designed two strategic planning mentoring workshops, the first for Ministry of Antiquities Senior Management, and the second for managers of historic and archaeological sites and museums from around Egypt. In this blog Henrietta reflects on the power of dialogue to create effecting working partnerships. On the day of the announcement of Stephen Hawking’s death and a week on from the press launch of HVM’s report on genetic technologies for the Royal Society Anita van Mil ponders the importance of ongoing public engagement with the technologies that will define our future. Recently Anita visited Moscow as a Guest Speaker at the Russian Museum Leadership School organised by the Potanin Foundation, the Polytechnic Museum and the British Council. In this blog she reflects on the authenticity of museums as trusted places to learn from the past and explore the future. This week we see the publication of Chew it over, HVM's dialogue findings report on the fascinating journey we went on with theatre company Look Left Look Right and Wellcome Trust’s The Crunch. In this blog Anita reflects on the report writing process and the importance of sharing the views of participants. As the complexities of the UK's decision to leave the European Union are mounting and a year of major tragedies and shifts in the global political landscape is drawing to a close Anita is thinking about the need for dialogue. I'm often to be found talking to my dog. She puts her head on one side and really tries as hard as she can to get what I'm saying. Normally I put this desire to talk to someone who won't comment or judge down to my long list of eccentricities. But of course I'm not alone. We all need to be listened to and really heard. One of the things that’s come up recently is: what are the rules for dialogue? And if we know what they are – should we use them? In some of the sessions HVM facilitates everyone knows each other; in others no one has met before; sometimes participants are not used to discussing their views, sometimes on sensitive issues, in a workshop setting. So what works best? Anita ponders on why some dialogues have a huge impact on us as a team - and thinks about why co-production is so important.